Over the years, I’ve learned that most Gambians tend to venerate our leaders. They think Mansa knows best and they also want favor’s from him, whether it’s a bag of rice or “palass.” They will never question Mansa because they want that bag of rice or “palass”; and if anyone else does, they must hate Mansa and are unpatriotic. Some Gambians can be dangerously comfortable and don’t want to question anything and refuse to read against the grain. This is how it was during the PPP era, Goloh’s era, and it’s now taking shape in the Weee Barrow Era tam. Only those in support of the ruling party are allowed to spread their wings and fly to “higher heights” (oops, didn’t mean to use that phrase). During the PPP era, there was a song that still rings in my head from my boyhood days. 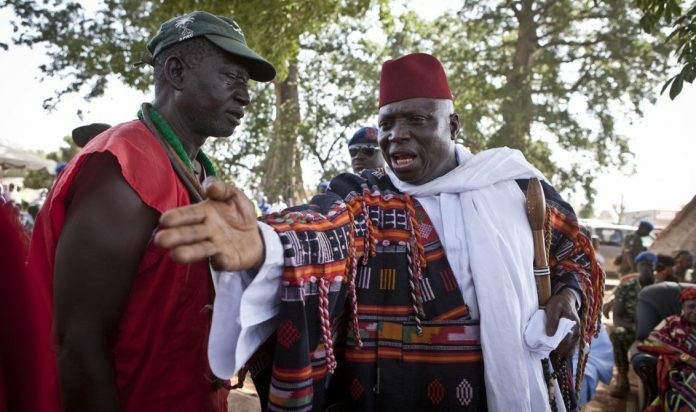 It goes like this…yaay Gambia deya njaa, alngah DK sabari…fengo feng teh banna jang, alngah DK sabari…mano teh banna jang, alngah DK sabari…tulo teh banna jang, alngah DK sabari. I can’t t even tell you how many times la haycho mano ning tulo at Bakau NTC.smh. Looking back, for the most part, it was a “no sing no play” type deal. Some were denied opportunities because they didn’t sing. There was considerable corruption and those who sang benefited, and some more than others. DK could not do any wrong in the eyes of the people, and when he wanted to hand over power, a group of elders went to him and said “du fee morm, njor bange, dunge kor nangu.” So DK stayed! Then Goloh showed up in 1994, after watching the corruption from the sidelines. His claim was to eradicate corruption, but he injected “corruption” with steroids instead. Corruption went from a “DK level” to a “Babili Mansa” level. The people switched sides, and corruption was multiplied by brutality and Gambia ended up with a dictatorship. Goloh was idolized and he became God. He was taking away life at will, and anyone who opposed was labeled an enemy of the state. Goloh was manufactured, packaged, and delivered to “self” by the people and for the people.